Populism is often viewed as a national-level phenomenon that pits a declining periphery against a cosmopolitan, economically successful metropolis. Our analysis of Rob Ford’s 2010 campaign and mayoralty in Toronto reveals the potential for the emergence of populist politics within the metropolis. To comprehend his appeal, principally within the city’s ethnically diverse postwar peripheral areas, we apply Brubaker’s conceptualization of populism as a discursive repertoire. Drawing on qualitative information and analysis of survey research, we first describe how Ford constructed electorally salient protagonists and antagonists. Second, we discuss how his emergence was enabled by institutional, economic, and demographic change. Finally, we explain Ford’s appeal to a diverse electorate in terms of the sincerity and coherence of his performance as the collective representation of suburban grievance. 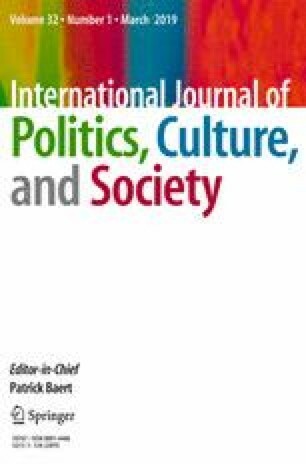 We conclude by arguing that populism may emerge in metropolitan settings with strong, spatially manifest internal social, economic, and cultural divisions. This study was funded by the Social Science and Humanities Research Council of Canada (grant number 430-2016-00331). Heath, J. (2017). Canadian exceptionalism. In due course: a Canadian public affairs blog. Retrieved from http://induecourse.ca/canadian-exceptionalism/.